A lot of inspirations gathered for you that needs a little encouragement to reform the fourth and still don’t know where to start! Many times we want to start a reform in our living rooms, kitchens, bedrooms and bathrooms and we were stuck in the planning because we don’t know what should be our starting point. 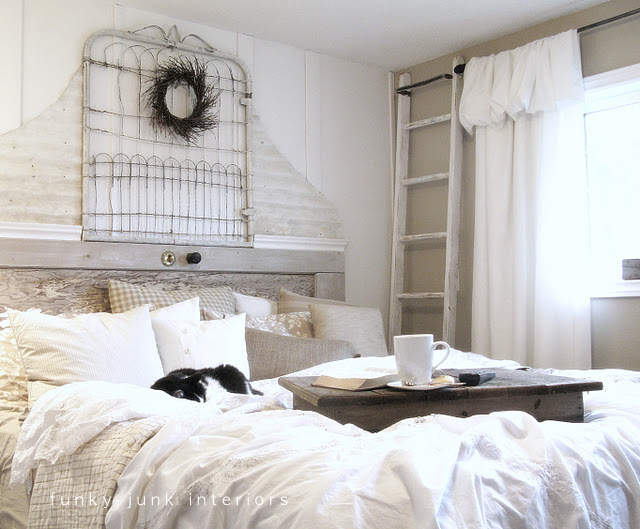 Hoping to encourage you to take the first step in the reform of their room, separate a lot of inspirations of different and unusual headboards that can be the centerpiece of your decor and help you make decisions about the rest of the decorative objects in your room. 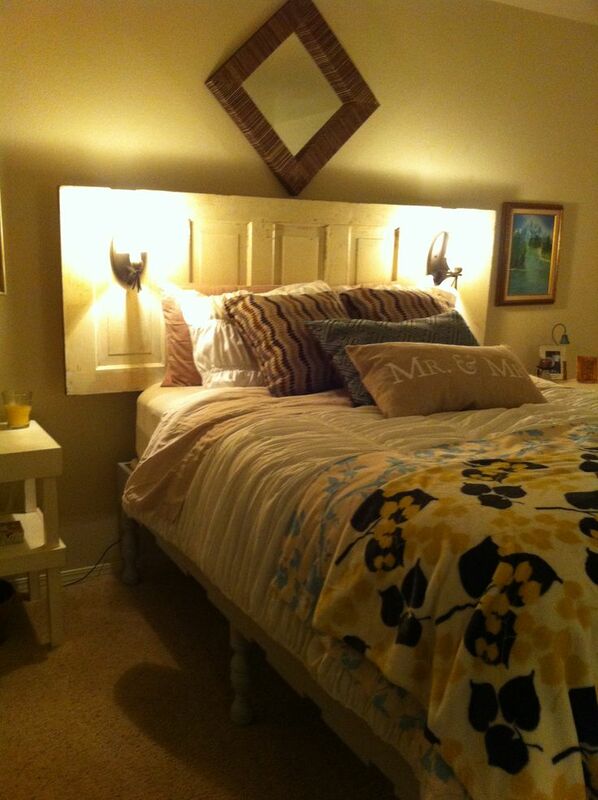 Doors and Windows-it seems odd, but old doors and Windows can turn into beautiful headboards! If they are of sizes or different color paint them with the same tone or sanded to make them more similar. After that just put some Daisy hooks on the walls and hang like paintings! 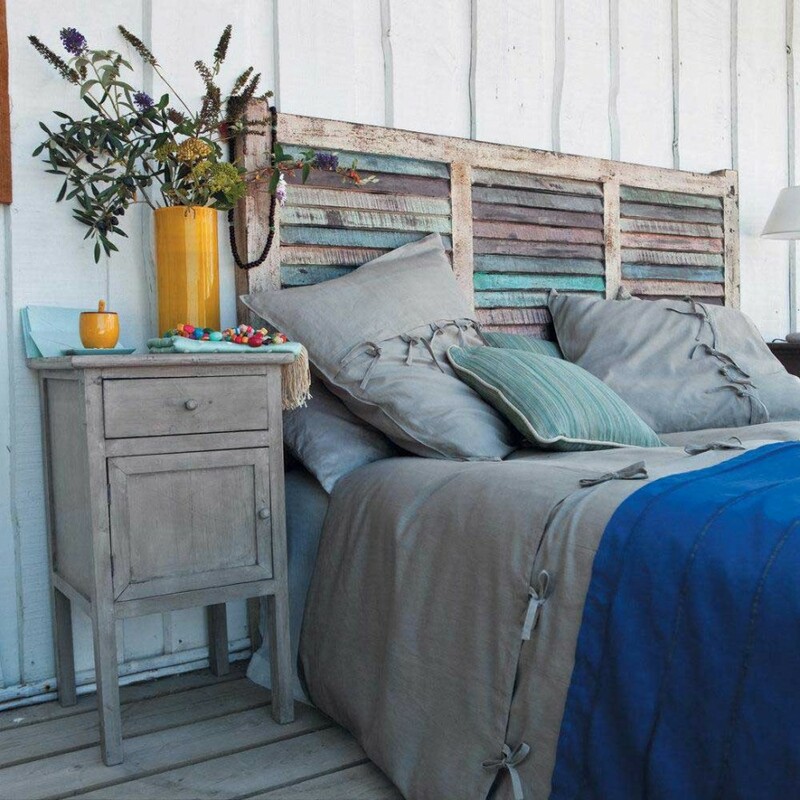 Demolition wood-the wood is beautiful used as a headboard. There are two ways that you can use, the first (and most common) is to choose pre-cut boards and fit them on the wall in order to assemble a large rectangle. The second option would be to choose slices of raw wood and hanging them on the wall with a space between them, forming a work of art. Stencil-mount or buy a stencil of a drawing (small or large) that pleases you, paste on the wall and it and the ink roller. The secret here is to know that the color that will appear in the stencil is the paint on your wall that was painted by first. Mandalas and paintings – A true work of art as a form of bedside tables, mandalas or even the old fabric fabrics can become beautiful and unusual headwaters. Make a composition of different arts to a truly custom result. 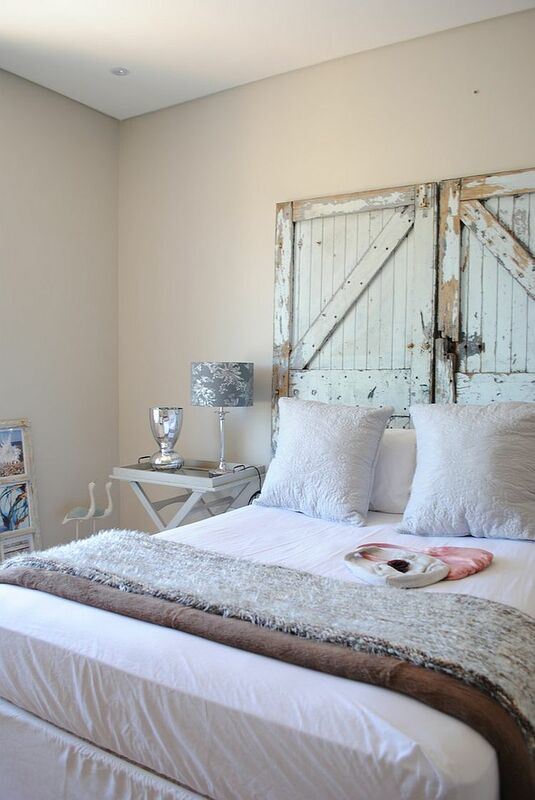 Now that you know where to start the new bedroom decor, how about picking the rest of the decorative objects? 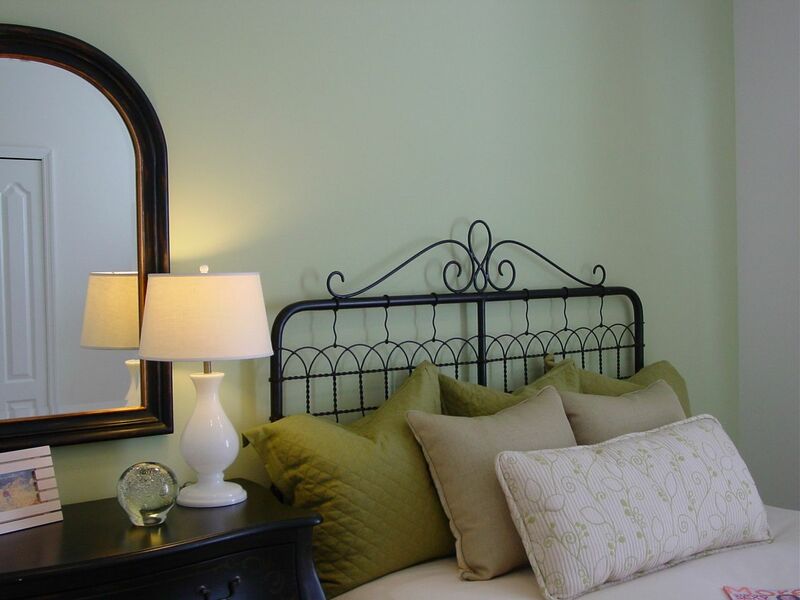 Split up down here our favorite items to complement your décor.